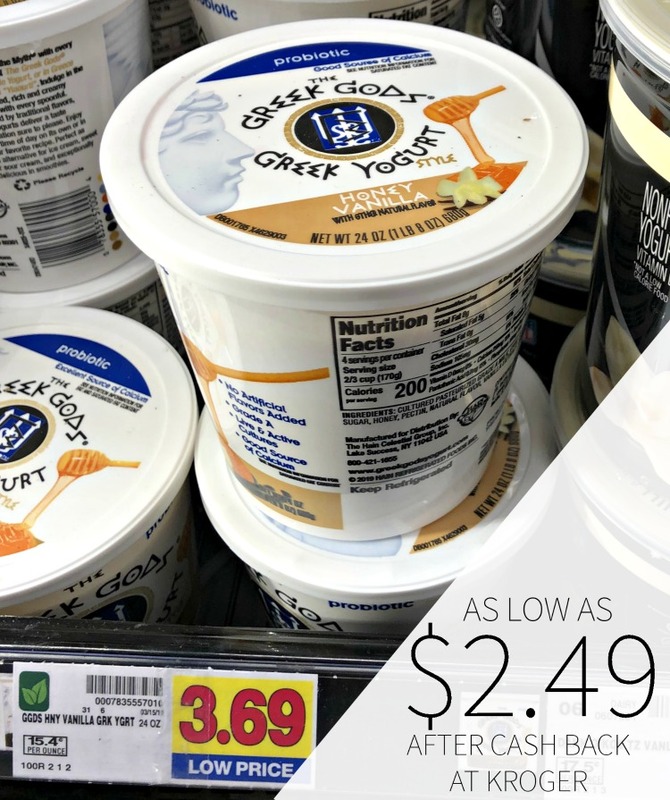 Head to Kroger and pick up a nice deal on Greek Gods Yogurt. After cash back, you can grab your favorites for as low as $2.49 for the big tub. As low as $2.49 after cash back. Thick, creamy and indulgent authentic Greek-style yogurt and kefir. You’ll never want to go back to another. –$1.20/1 The Greek Gods (Ibotta Deposit) [Any variety; 24-oz.+][5X Per Receipt] As low as $2.49 after cash back.